How to cope with multi-regulations? globally. Even if norms and certifications tend to be international (ISO, HACCP, OHSAS…) the majority of rules are still country specific. For example if a Spanish company would like to expand into the USA, they would have to adapt labeling, conform to US protocols, legal requirements, and specific regulations about health and sanitary issues. From the idea stage until the “on shelves” stage, all regulatory aspects must be taken into account. This is a complex process for global companies, because products are often sold in different countries with different regulations. 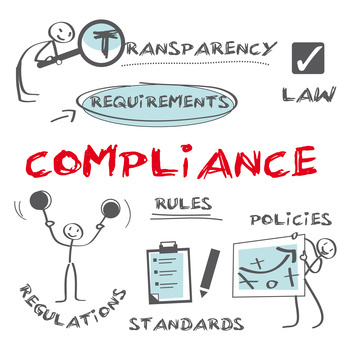 Most of the global companies have a local compliance department to ensure their products follow each country regulations. – All ingredients must be listed by weight from heavier to lighter in accordance with the formula. Once a company has gathered all needed information, it is important that they store it along with any additional documents such as products and raw material certification in a single and well organized repository that would allow them to later find the information. As a result, it would be easy to find all products containing pork for instance. It is also useful to be able to create portfolio per countries without making redundancy. Labeling is different from a country to another (INCO, FDA…). Format, languages, required information… this could be a puzzling situation to cope with. If we return to the example of a company trying to enter the Finnish market, all mandatory information must be written in Finnish and Swedish. Alternatively, labeling in Swedish may be replaced with Danish or Norwegian and made in a permanent manner (e.g. no stickers stuck on the package, label must be print on the package). It is easier for quality teams to design a template per country and populate required info with data from the repository. Each government or state agency expects some process regarding food production or food distribution. Consequently, it is important to be able to extract the right certification when required, to trace products and processes for proper audit (internal and external) or implement sanitary alerts to act and not only react. Lascom offers a solution to deal with multi regulatory issues. A well organized repository allows teams to optimize labeling, optimize and audit their processes and provide considerably help to comply with local regulations in each country. Share the post "How to cope with multi-regulations?"